It's been a while since the last post but it’s also been very busy here. The kite feeding is at 3pm as its been every summer for nearly 2 decades but as of the mid of July the kites behavior always changes and instead of coming in at the time of the food going out they instead wait for another species be it a crow, or magpie, to alight on the food. Today, 20 minutes had past before crows started to come in but sure enough the kites then fell from the skies as soon as they saw their food being taken by ‘others’. 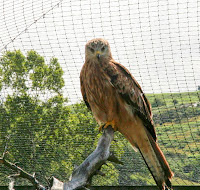 We currently have 3 red kites and a buzzard in for rehabilitation. The buzzard is nearing its release date as its primary feathers are at last changing and flight will again become possible. 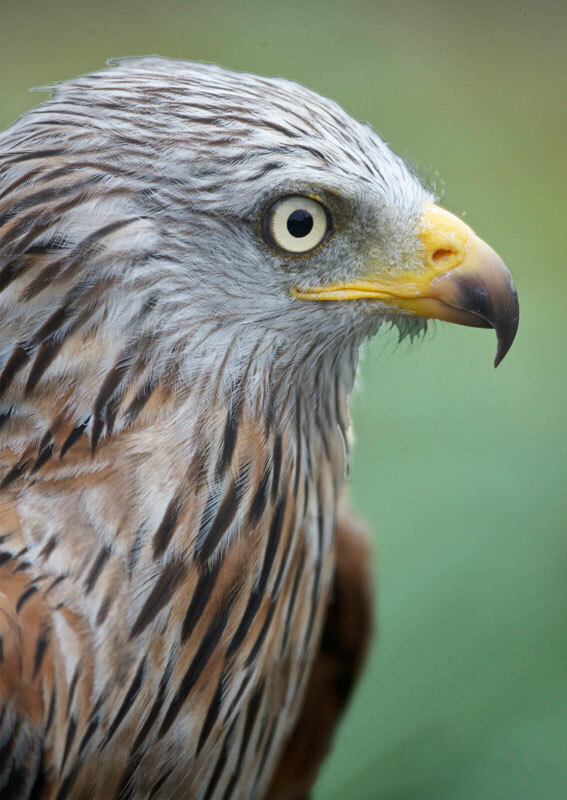 One of the adult red kites has a damaged wing and is unable to fly so will be here a while longer. 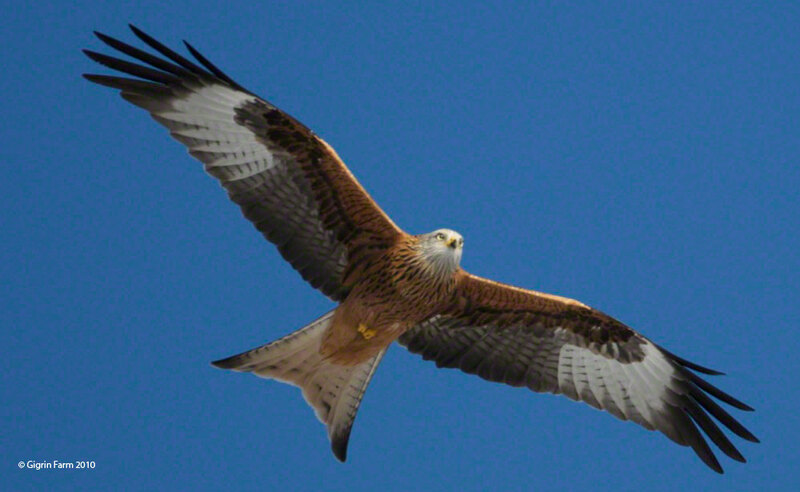 A second red kite has a damaged leg (seems to the fashion this year as it’s the 3rd so far..) and is receiving daily injections of antibiotics. The third kite to arrive is one of this years chicks and my how it’s grown since it fledged in June. Pictured here is the Red Kite Chick we had in for rehabilitation. Sheep wool had become wound tightly around this chicks leg and had caused it to loose its use. Having finished its course of pain killers and antibiotics the chick was now walking well (no doubt happy to have no more injections), so it was taken back to the vet, for a final appraisal, before being put back into the nest from which it had first been rescued. Its always a good feeling when the work brings success. 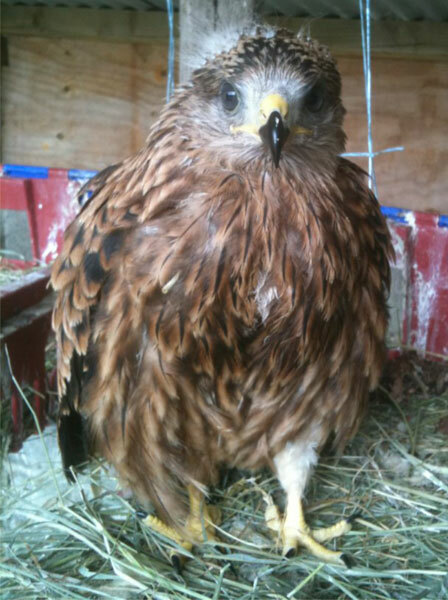 The same could not be said of another red kite chick that Tony Cross brought to the farm. This one too had had wool tightly wound around a leg but had not been found in time and infection had set in. Having been seen by the vet the decision was made to put it to sleep to prevent more suffering and distress. Colin Horlock (usually seen here on Friday and Saturday) will be feeding tomorrow (Monday) as I've an appointment in Hereford for 3pm! The recent sunshine has meant that I've been able to capture more images of these beautiful birds in flight like this one..
Labels: Gigrin Farm, red kite rehabilitation, red kites.